JAKARTA, Indonesia (2 July 2014) — Indonesia must reduce its economic dependence on natural resources by increasing investment into research and development to boost sustainable industrial development and “green” its economy, according to a climate change expert. “Indonesia has seen significant growth over the last decade, but growth has been based on accelerating resource extraction and commodities — in particular palm oil — and not enough on improving labour productivity, said Johan Kieft, head of the Green Economy Unit at the U.N. Office for REDD+ Coordination in Indonesia (UNORCID). The REDD+ (Reducing Emissions from Deforestation and forest Degradation) mechanism, which has been part of U.N. climate change negotiations for almost 10 years, proposes that developing countries can reduce greenhouse gases by reducing deforestation and degradation of forests, conserving forests, increasing the number of trees planted, and promoting sustainable forest management and use. A key prerequisite for a greener economy is improved education, Kieft said at the recent Forests Asia Summit in Jakarta, Indonesia, which attracted more than 2,300 delegates, organizers said, including Indonesia’s outgoing President Susilo Bambang Yudhoyono, government officials, representatives from non-governmental organizations and top forestry experts. From Kieft’s perspective, the Forests Asia Summit aimed to provide more clarity on REDD+ and other means of sustainable forest and landscape management financing. Some discussions at the event focused on green bonds, which led to new ideas about how to develop innovative ways of financing sustainable landscape management in Asia, Kieft said, adding that REDD+ is well designed to address planned deforestation and forest degradation within landscapes where forests provide critical ecosystem services. Ecosystems provide benefits, referred to as services, which range from water, carbon storage and biodiversity to aesthetic pleasure, recreational opportunities and spiritual uses. 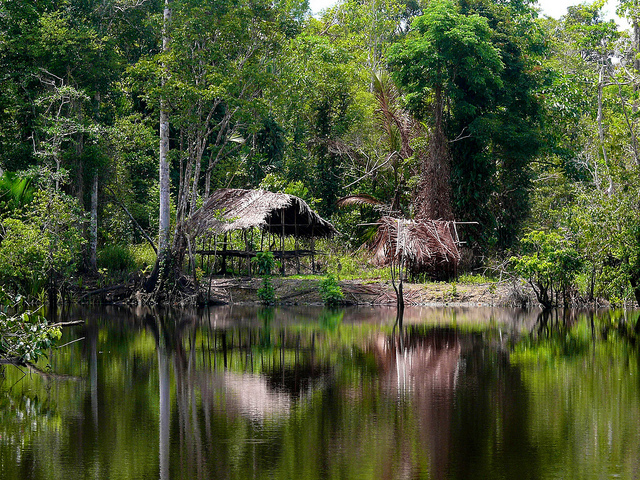 For example, the remaining peat swamp forests in Southeast Asia conserve large amounts of belowground carbon and contain unique and globally important biodiversity, which to their detriment often has value for economic development, Kieft said. Deploying the REDD+ mechanism would be an essential step towards strengthening the natural capital of countries dependent on natural resources for their development, he proposed. “In most cases, natural resource dependency has led to a significant loss in natural capital stocks, which undermines the longer term development potential of these countries,” Kieft said.